Oshea Platinum Exfoliating And Renewing Scrub- Apply on wet face and gently massage. Oshea Platinum Regenerating And Energizing Cream-Moisten all over face and neck,add 2-3 drops of glopure serum,gently massage for 10-15 min,remove with damp cotton. 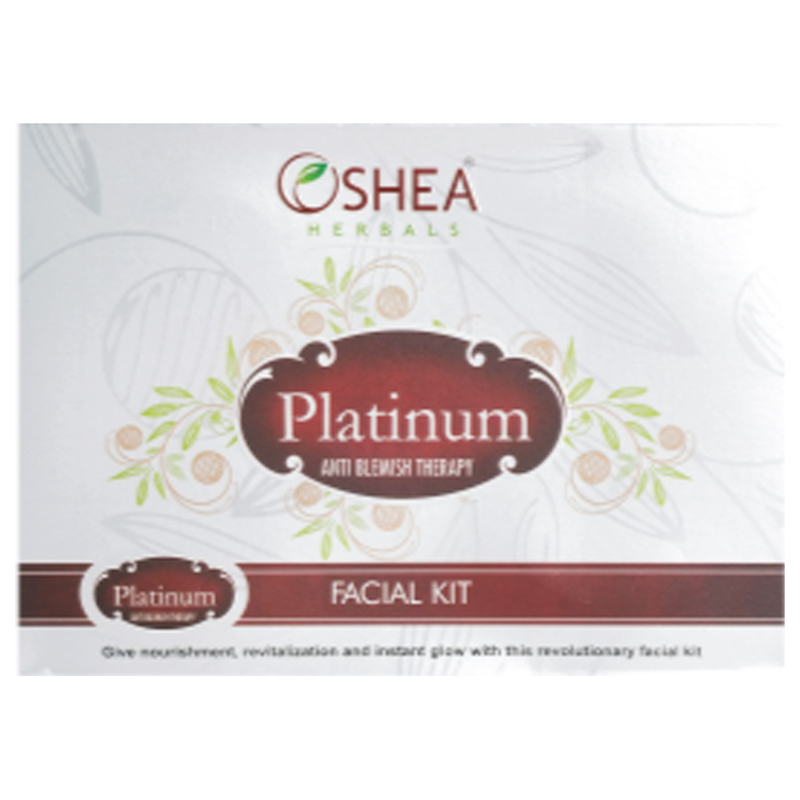 Oshea Platinum Anti Blemishes Mask- Apply on face and neck avoiding eyes,let it dry.wash off with water.